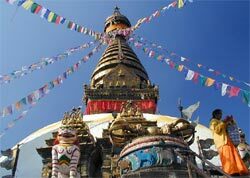 Nepal is a country of high Himalayan Mountains, artistic monuments, exotic wildlife, and diverse cultures. It is the land where Lord Buddha was born over 2,500 years ago. The country covers an area of 147,181 square kilometers, and stretches 145-241 kilometers north to south and 850 kilometers west to east and is located between India in the South and China in the North. Nepal is primarily an agricultural country. Tourism, carpets and garments are major industries. Tucked away between India and the Tibetan Plateau, Nepal is dominated by the towering Himalayas - a majestic range of snowy giants standing guard over the stunning beauty of our country. 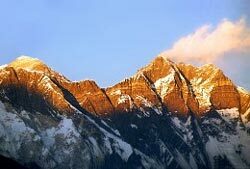 Thanks to these huge mountains, Nepal enjoys the widest range of altitude of any country in the world. Altitudes vary from as little as 70m on the Terai plains to Mount Everest's colossal peak at 8848m. As a result, our vegetation zones include tropical, subtropical, temperate and alpine areas. In these diverse natural environments an incredible range of flora and fauna flourish, attracting nature lovers all year round. Nepal is an ornithologist's paradise, with over 800 species of birds, including storks, pheasants, cuckoos and enormous birds of prey. For those who prefer larger animals, a visit to one of the National Parks could reward you with a sighting of our famous royal Bengal tigers, bears or one horned rhino. You do not have to go far to see the monkeys, many of whom live side by side with the residents of towns and villages! We are operating following tour, Trekking, Peak Climbing, Mountain Expedition in Nepal, Please find the following different types of adventure & leisure tour for your holiday. 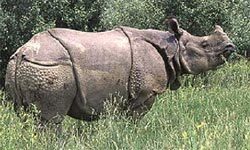 Tours in Nepal, Nepal Tour, Tours Nepal, Trekking in Nepal, Treks Nepal, Nepal Himal Treks, Trekking Peak Climbing Expedition in Nepal, Mountain Expeditions, Mountaineering in Nepal, Mountain Climbing Nepal, MICE (Meeting Incentive Convention Event) Tourism Nepal, Wildlife Safari Tours Nepal, Wildlife Activities Nepal, Wildlife Safari Nepal, White Water Rafting, River Rafting Nepal, Rafting Nepal, Buddhist Circuit Tours, Hindu Pilgrimage Tours, Honeymoon Tour Nepal, Botanical Tour Nepal, Botanical Trekking Nepal, Bird Watching Nepal, Nepal Birds, Village Tourism Nepal, Golf Tour Nepal, Nepal Golfing, Filming Tourism Nepal, Filming Nepal, Traditional Wedding, Wedding Nepal, Sport Tourism Nepal, Adventure Activities in Nepal, Domestic Air Service Nepal, Domestic Flight Reservation Nepal, Hotel Reservation Nepal, Rent A Car Nepal, Special Interest Tours Nepal, Intl. (International) Air Service Nepal, Places to Visit in Nepal, Festivals in Nepal, General Information Nepal. For more details information with many different itinerary for your tour, treks, mountain climbing and any Adventure & Leisure Activities for Nepal please visit bellow link and if you are looking different itinerary please write us.